Scientists from IEA SHC Task 53, New Generation Solar Cooling & Heating Systems, have compared the cost, efficiency and adaptability of solar cooling storage solutions and are now creating a report about the technologies most suitable for a given application. The researchers examined both thermal and electricity storage systems. But whereas the report can soon be used as guidance for choosing the most apt solution to heat and cool buildings, it will not provide a recommendation in favour of storing electricity or thermal energy. “There are too many unknowns. Apart from technical considerations, you need to look at each country’s legislative framework and feed-in tariffs," said Elena-Lavinia Niederhäuser, author of the report and Director of the Energy Institute at Fribourg’s College of Engineering and Architecture, Switzerland. A look at the tables included in the chapter Choice of Storage Type (and summarised in table 1) will give readers a first overview of which thermal option should best meet their needs. The researchers used a commercially available software application called Polysun 7.2 to simulate a wide variety of building types (and district heating networks) across three climate zones and offer an initial take on the general suitability of systems which provide heating, hot water and cooling. Details on the building templates can be found in the report. 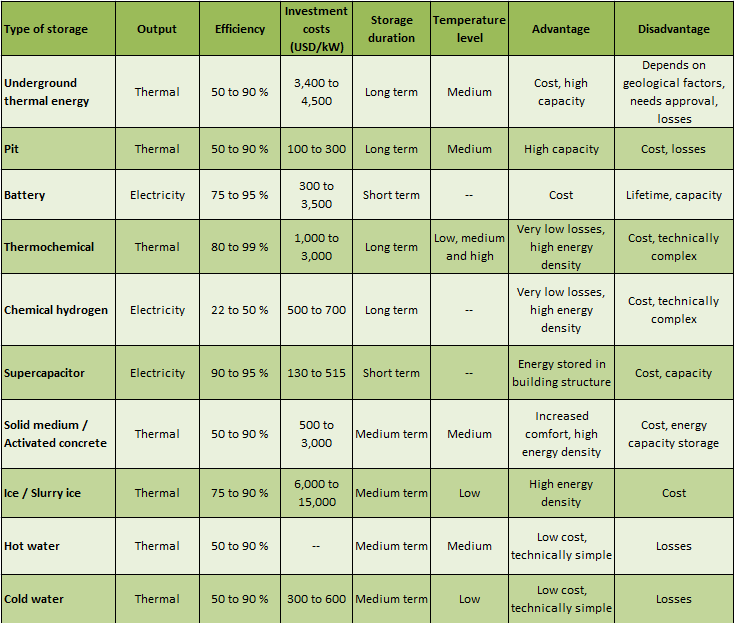 Table 1: Most economical storage technologies for solar cooling systems by building type. The plus sign refers to main storage (long term), whereas the circle indicates additional storage space (short term). The Climate Zone is Europe. Single-family homes: In northern European climate (Örebro, Sweden), concrete walls are sufficient for cooling. Across the middle of the continent (Berne, Switzerland), it may help to have wall-integrated phase change materials, or PCMs, for the take-up of excess heat during summertime and a tube bank in the wall or ceiling for thermal transfer, not unlike the one in floor heating. In the south (Seville, Spain), cooling consumes most of the energy, whereas space heating requires little or none. Ice storage seems like a good addition to a hot water tank in this scenario, but it is a rather expensive solution for single-family homes. Overall, tanks for hot and cold water have been the most widely used technology in single-family buildings in all three climate zones. Multi-family properties: Similar to single-family housing in the north and the middle; concrete walls with or without PCMs should be enough to meet cooling demand. In southern climate, ice storage seems to be the most suitable solution for these buildings. Hotels: While cooling demand in the zone between north and south remains low, it is greater than for residential buildings. An option may be underground, pit or ice storage (combined with a hot water tank). In hot climate, the most suitable combination in the simulated environment consisted of ice storage and hot water unit. Office buildings: In middle climate regions the cooling demand of office buildings is moderate, taking into account heat emitted by electrical devices and the staff. Just as in the south, but in combination with a hot water tank, suitable options may include underground, ice or pit storage. In a second step, planners can use the report’s Characteristics of the Selected Storage Methods table to see which technologies may be a good fit (see table 2). The researchers have identified three technologies suitable for low-temperature applications (i.e., cooling): thermochemical, ice or slurry and cold-water storage. The investment costs in cold-water systems are the lowest and their design is as simple as it can get, which makes them the default technology for low-temperature heat. 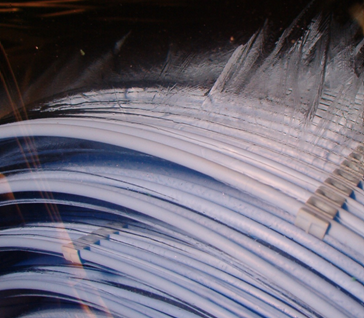 Conversely, ice and slurry have high energy densities, which allows for the storage of great amounts of energy in limited space. “Cold-water tanks are certainly the most technically mature solution for storing low-temperature thermal energy,” said Niederhäuser. But new technologies were being developed during pilot projects, she added. The Task 53 researchers emphasised that in addition to the above-mentioned indicators, a detailed study of building and location properties was indispensable. They recommend that planners run numerical simulations which encompass the entire system and include actual data on the building and presumed location. "Usually, tools such as Polysun contain several system templates which can be easily adapted for tailor-made simulations,” Niederhäuser said. The report will be available for download in late 2017 at http://task53.iea-shc.org/publications. This text was written by Eva Augsten, a German freelance journalist specialised in renewable energies.